Press cuttings, travel blogs, reviews, online & in good old fashioned print. ..."The house was amazing, subtle against its environment but modern inside… I marvelled at the use of cross ply laminate in the build, perhaps a little too much and ended up looking like an obsessive! Koala didn’t seem to notice as she looked longingly to the surrounding hills, still shrouded in snow … and a lone tree on the ridge line. I saw it too….and put away the bottle opener resigned to a sunset hill walk before the Shiraz. ...Eastside was such an oasis. The cottages felt really remote, but at the end of the valley, down the farm track was the main A702 road into Edinburgh.. and Edinburgh beckoned. Less than 30 minutes later, we were in a multi storey car park negotiating the truck into a space designed for shiny clean city cars not a mud splattered Mitsubishi..."
Kate Hopper is a munro bagging, OS ambassador-ing inspiration! 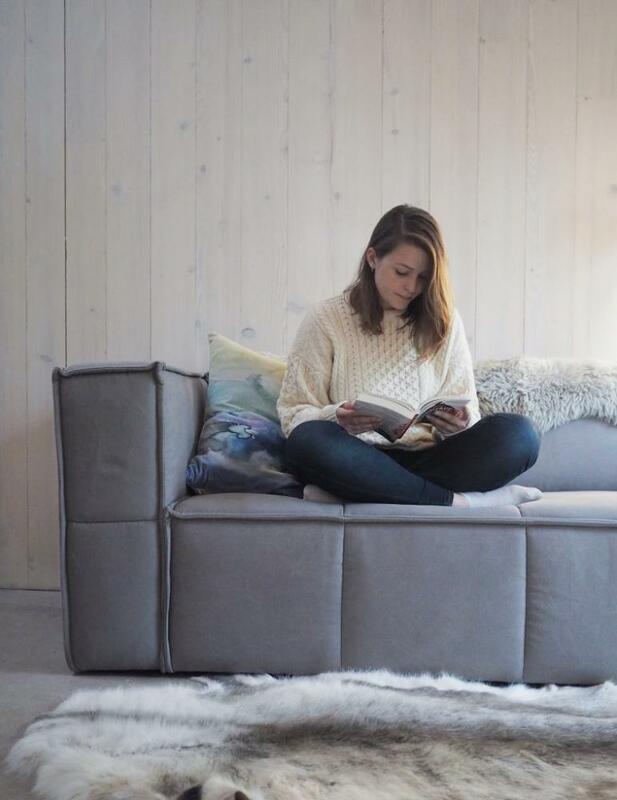 The perfect person to review the brand new Woodshed and make the most of its spectacular location. "10 miles south of Edinburgh between the hamlet of Silverburn and the village of Carlops, Eastside Farm nestles beneath the peaks of the shapely Kips and towering Scald Law. Turn towards the hills and at the end of a farm track (take it slow, it is a little bumpy!) is the Westside Woodshed, an incredibly stylish Scandi-inspired cottage for two hidden amongst the trees. 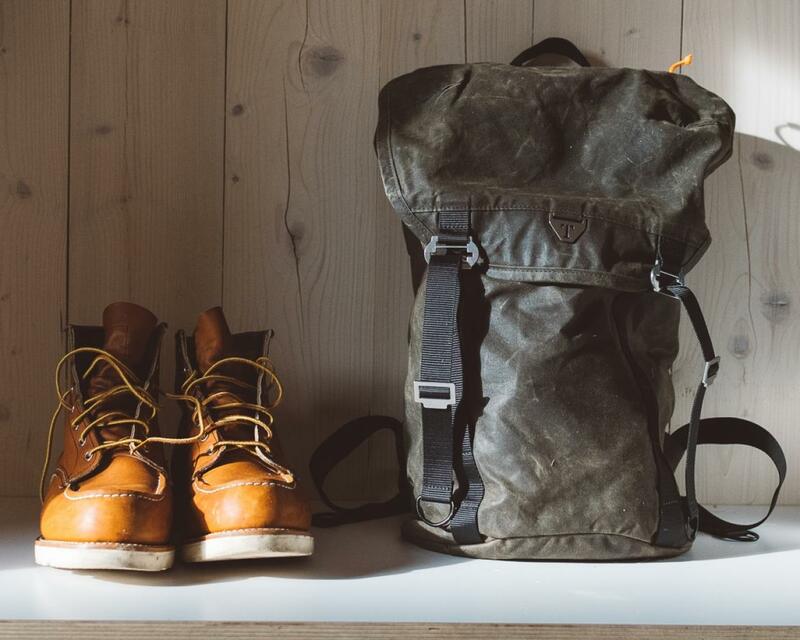 Wellies, walking sticks and long walks are a very welcome part of life at the Westside Woodshed." Read all about Kay's stay at the Woodshed, roaring fires, hilltop hikes and the best of COOKs homemade meals delivered to your cottage door. 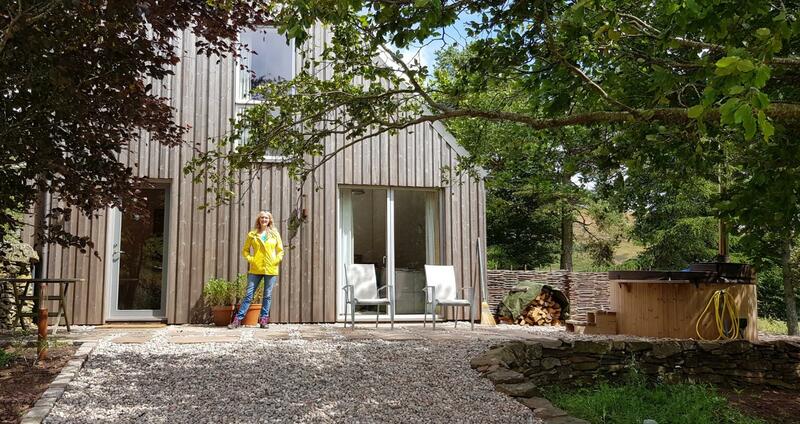 "I’m always excited see quirky, non-traditional accommodation appear in Scotland, and the Westside Woodshed is exactly that. Perfectly formed with Scandinavian timber, the aesthetics are unique and contemporary, yet still blend in seamlessly with the bonnie backdrop of countryside. The interior is neutral and modern with stylish splashes of bright and bold colours. It’s obvious that every fabric, feature, and item of furniture has been carefully and tastefully selected to enhance the guests’ experience. The dreamy open-plan kitchen and super-cool foldaway dining table are ideal for self-caterers, and the shower is AMAZING; in this case ‘experiencing’ is believing. I took great enjoyment in peering down on the signature sofa and my roaring-fire achievement from the bedroom on the mezzanine floor. This clever design makes optimum use of the space, while the large windows and French doors flood the interior with natural light and pretty views. What a wonderful place to wake up." 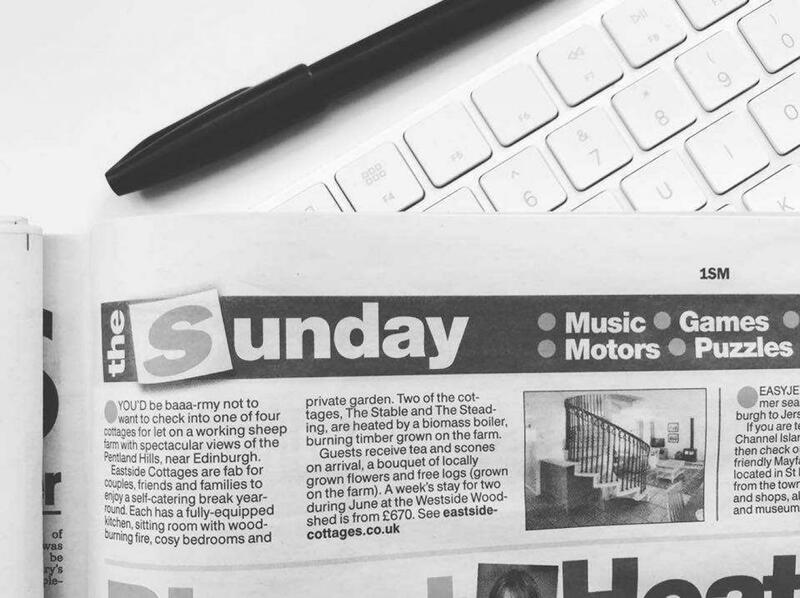 29th April 2018 / A wee mention in the Scottish Sun : ‘you’d be baaa-rmy’ lol! 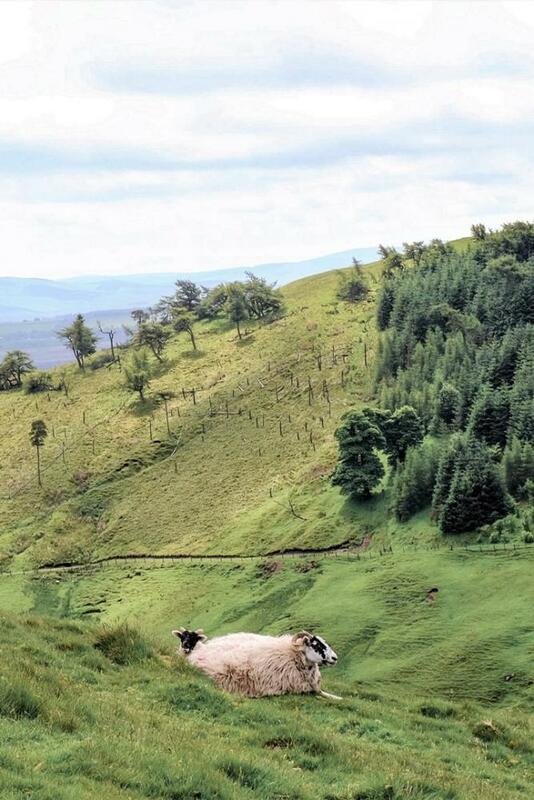 "You'd be baaa-rmy not to want to check into one of four cottages for let on a working sheep farm with spectacular views of the Pentland Hills, near Edinburgh. Eastside Cottages are fab for couples, friends and families to enjoy a self-catering break year round. Each has a fully equipped kitchen, sitting room with wood-burning fire, cosy bedrooms and private garden. Two of the cottages, the Stable and the Steading, are heated by a biomass boiler burning timber growing on the farm. 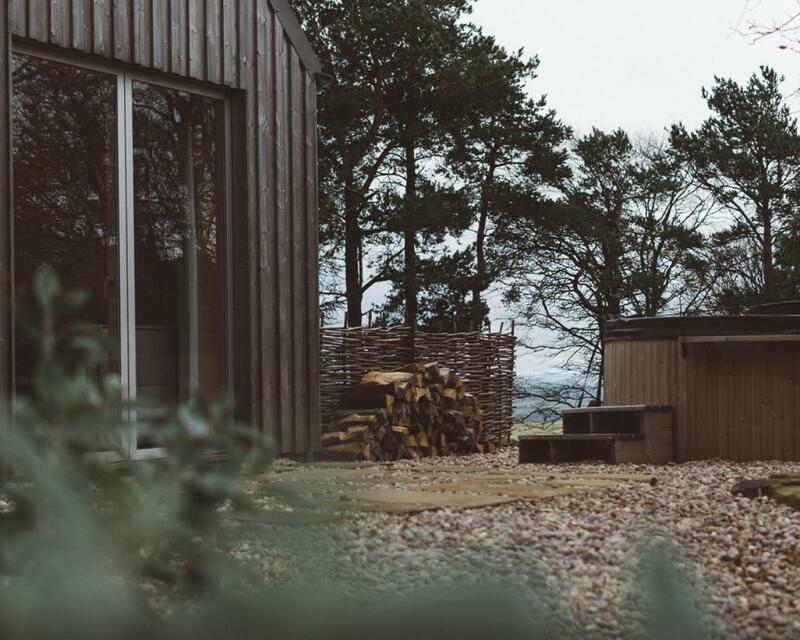 Guests recieve tea and scones on arrival, a bouquet of locally grown flowers and free logs (grown on the farm)..."
...how do you fancy an architect-designed oasis of calm with its very own private hot tub? 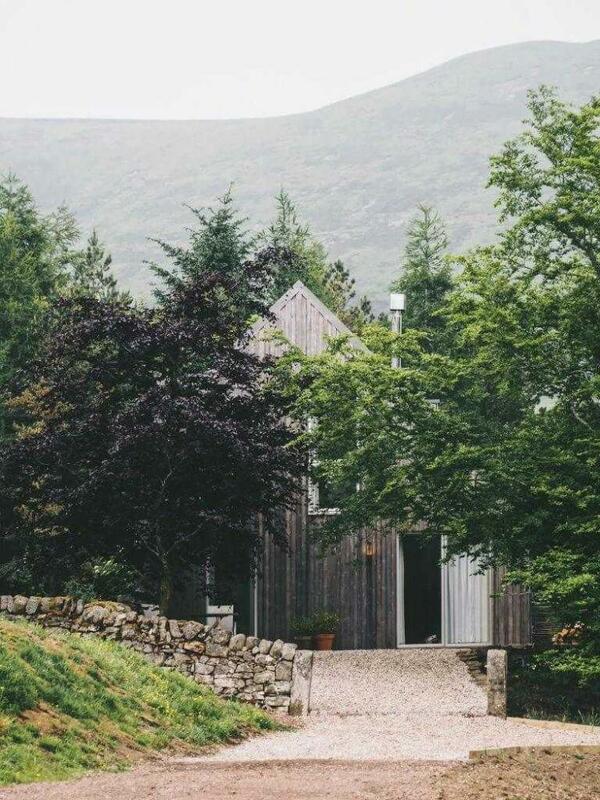 We love the Scandi-style design of Westside Woodshed, whose elegant silver timber cladding works in harmony with its natural surroundings and whispering trees. Head to the mezzanine floor, and be greeted by a luxuriously cosy, white linen-dressed king-sized bed, adorned with artist-designed cushions, whilst downstairs a crackling fire in the sophisticated open-plan living space presents the perfect setting for a romantic weekend away from the bustle. 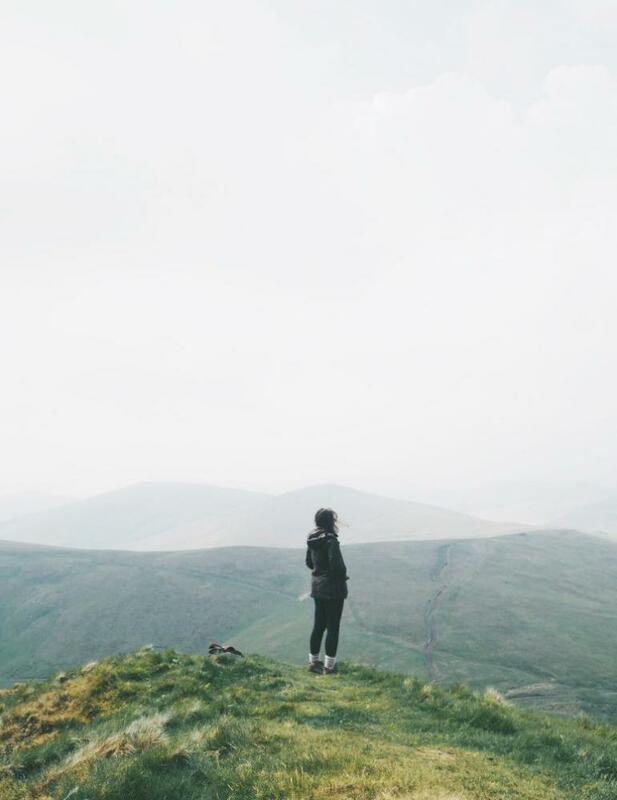 With hikes and hill walks aplenty on your doorstep, you'll be in the perfect place to breathe in a healthy quota of fresh Scottish air and recharge those batteries. We had a very special guest this month (a Visit Scotland 'ambassadog' no less)! He was terribly well mannered had lovely flowing golden hair and a winning smile. 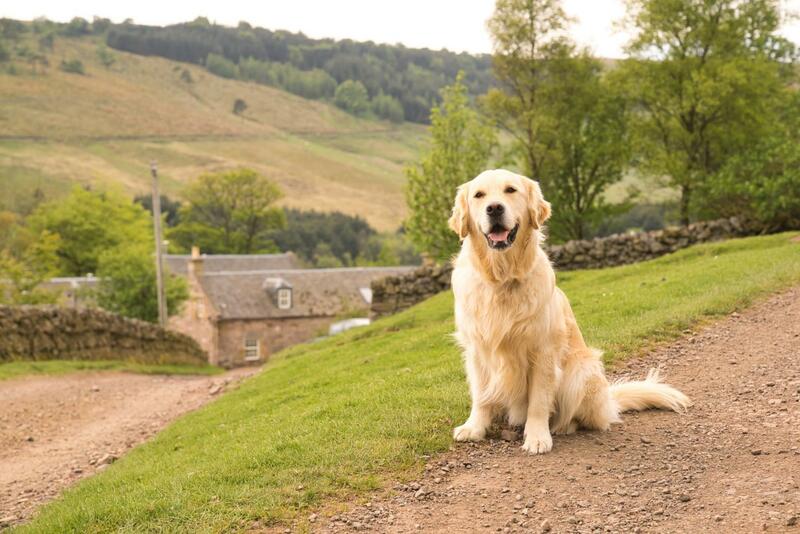 He was of course the Instagram star @golden_george who gave the Steading cottage his seal of approval and had some wonderful walkies in the hills. He promises to be back if he can fit us into his busy schedule! 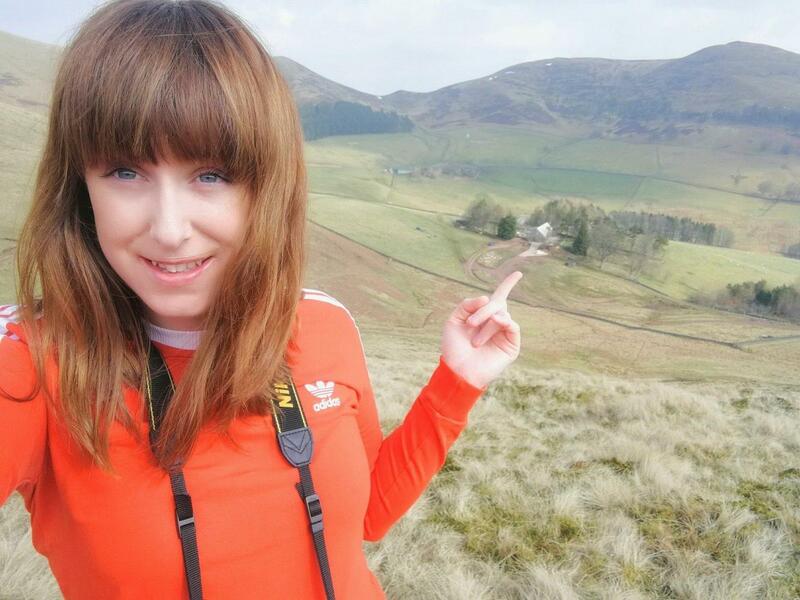 ..."Tired but happy, we stopped for a well-earned cup of tea, happily drinking in the view. As the weather started to turn, we made our way back... Thanks to our generous hosts, a tray of tea and scones were ready and waiting for us – the perfect sight for weary hillwalkers! We spent the rest of the afternoon listening to the rain fall outside, pattering gently on the windows. We lit the wood-burning stove and spent a blissful few hours reading and snoozing. It’s the perfect bolthole and its location is ideal – so close to the city, but far enough away to feel like a different world." Read all about Pamela and families stay at Eastside, the perfect base for many adventures. 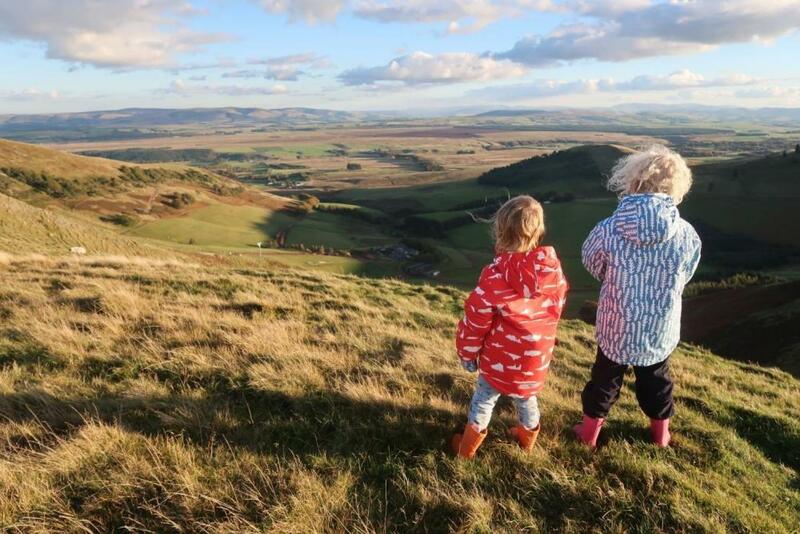 "Quite simply the best thing about the Central Belt of Scotland for a family holiday is just how accessible everything is. Whether you want city, country or coast… it’s all there within an hours drive, making it the perfect Scottish holiday location. The rolling hills that surround the cottages and the amazing Scottish sunsets made for a magical time. Whilst the flexibility of such a central location meant we could go off and explore everything the area has to offer. There are of course the obvious tourist attractions, such as Edinburgh Castle, Edinburgh Zoo, The Falkirk Wheel and The Helix, but because there is so much to do… You could take this trip a few times and still have something different to do..."
August 2018 / Reviewed by the Scottish Field : 'Far from the madding crowd'...& cooking spaghetti! ...The whitewashed wooden walls and glass doors mean it is bright and airy and allows beautiful views of the surrounding countryside. It is ideally situated as a jumping-off point to some of the best Pentland hills walking routes, but for those who prefer to relax, it comes equipped with an outdoor wood-fired hot tub. It takes about three to four hours to get the tub to a suitable temperature. My boyfriend was in his element out in the sun, tending the fire, beer in hand with only the sound of sheep and chickens for company. He enjoyed it so much that by the time we tried to get into the tub, the water was more suitable for cooking spaghetti than a relaxing dip. However, it wasn’t long until it cooled down to the perfect temperature and we stayed out there for hours. It was the perfect getaway." 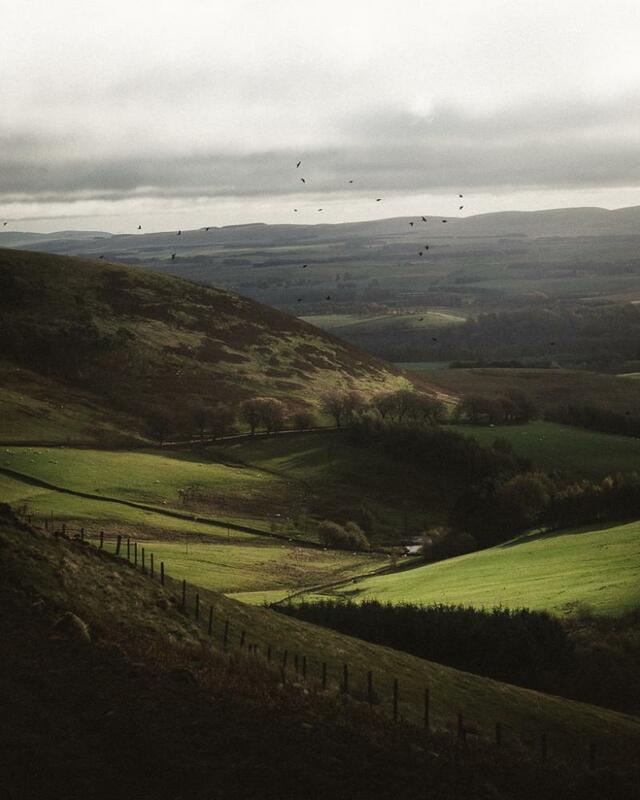 "At the weekend we stayed somewhere extra special, a little gem of a cottage in the Pentland Hills near Edinburgh. On our first day we went for a late afternoon walk up the hills behind the cottages... It may have been a bit chilly when we started out, but we soon warmed up climbing up the path to the Kips above Eastside Cottages... it’s really not that far, even for little legs like our 4 year olds! You can see all the way across to Edinburgh and the Forth Bridges. Of course it’s a great vantage point to see down to the cottages too, watching the tractor moving around and horses trot along the track. We had great fun sitting and watching. But it was late and the sun was going down as we were at the top, so after a quick break we were on our way back down ready for dinner. We stayed in the lovely Steading at Eastside Cottages. A beautifully converted hay shed, which now has 2 bedrooms and can sleep 4 people comfortably. Of course the main feature downstairs is the awesome spiral staircase, which for our stay turned into Gryffindor Tower for Harry Potter shenanigans. Wingardium Leviosa!!.. Outside there is a lovely garden that the kids would have been out in a lot if the weather had been better. Perfect for picnics and barbecues! There’s also a sheep pen at the back of the property, where the kids were excited to see the sheep in on the Sunday morning, not sure the sheep were so keen on being watched. You could easily spend a lot of your time at the cottage exploring the variety of walks around the area. We loved getting up to the top of the hills behind the cottages and we would all have loved to go a bit further. There are loads of other places to visit with an hour of the cottages, you can easily travel to both Edinburgh and Glasgow, the coast over in East Lothian, down into the Scottish Borders and over toward Biggar in South Lanarkshire. Activities can vary from leisurely walks along beaches and in woodlands, visits to museums and sculpture parks or surfing, biking and skiing. There is easily something for everyone in the local area!" 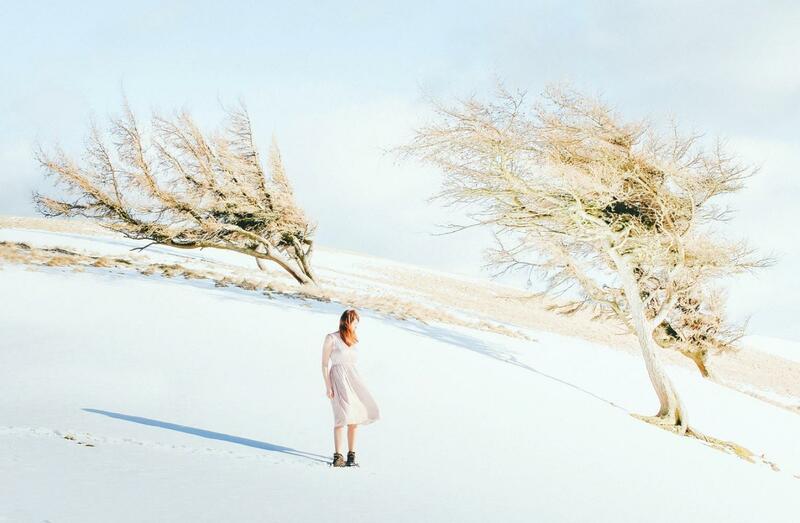 Jack & Karla spent a few days in the Woodshed producing some absolutely beautiful photographs and short film of their stay. Perfectly capturing the seasonal textures, colours and characters on the farm. 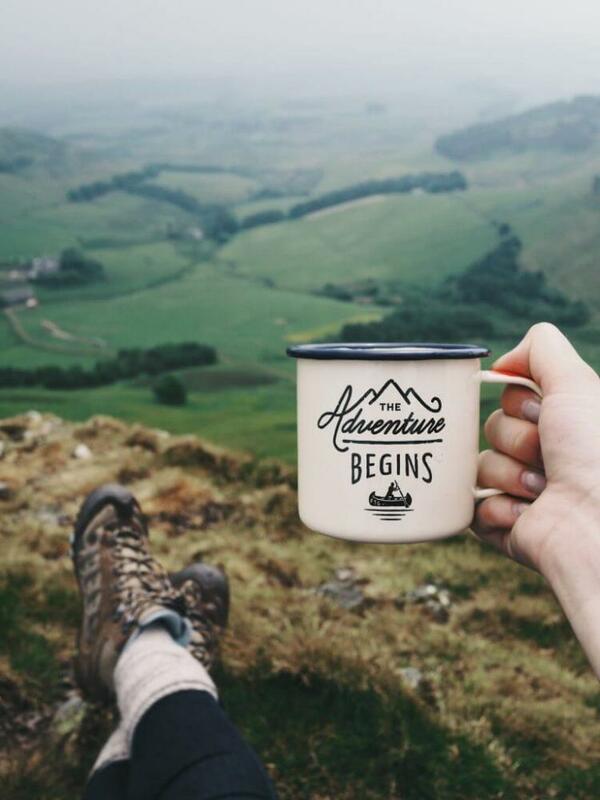 Slow living, log fires and hill hikes. 'This hilly oasis has a real majesty, rising up in a rugged spine of peaks to the city’s south. 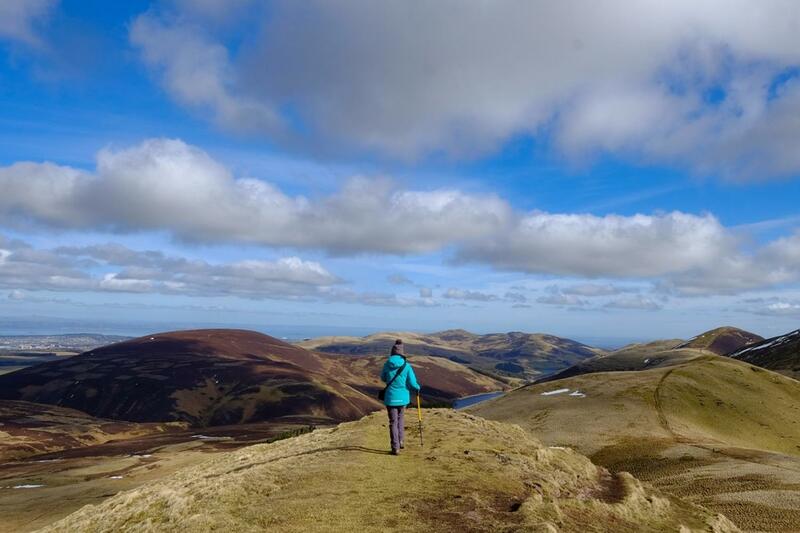 '...when you reach the summit, you’ll instantly see what I love about the Pentlands as a wildscape of hills unfurls all around, as well as lochs and a broad swathe of the Lothians down towards the Borders. A day trip will give you an alluring snapshot of what the Pentlands offer, but I thoroughly recommend staying over if you can. On my latest visit I chose Eastside Cottages. This quartet of luxurious stone cottages is built around a working sheep farm and boasts lashings of character to back up décor that real thought has gone into. 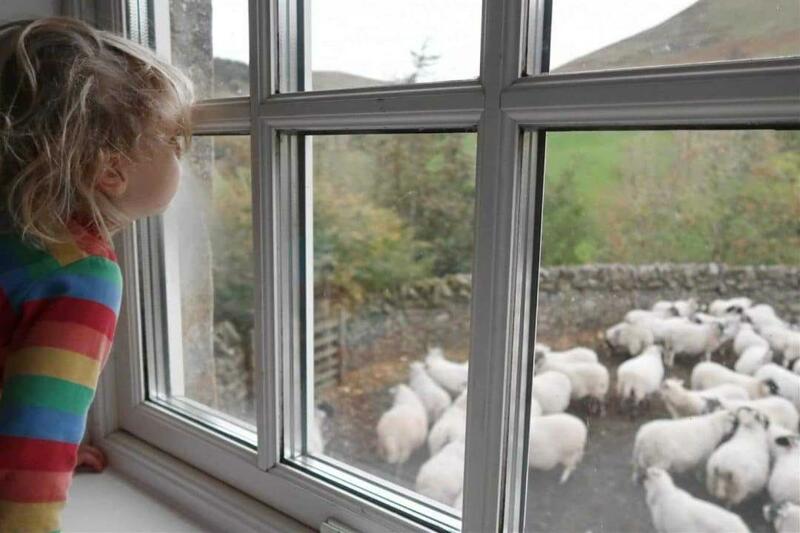 My girls loved the fact that we could see rugged hill sheep just outside the window from the Byre (a brilliantly refashioned old cow shed) and also have the occasional horse or pony amble by. As we had my two girls, Tara and Emma, with us, as well as their wee pal Amelia, we appreciated the big kitchen diner at the Byre Cottage and the living room upstairs with its cosy wood-burning stove. '...Eastside is that sort of place. It’s family-run and family-friendly. It would be great for cosy couples too and groups of friends taking a few cottages. One place we’d not discovered before, that we visited this time on the recommendation of Jenny at Eastside, was the Secret Herb Garden. This 7.5- acre herb nursery boasts a lovely café as well as a shop stocked with vintage furniture if you want something really special to take home. You can explore their gardens too. The girls thought this quirky oasis glorious fun – it was, the antithesis of soft play centres and they loved the bug catching kit they picked up. The next morning we decided to branch out and explore the area’s rich history. Castlelaw Hill Fort put us instantly in touch with our Iron Age hill fort ancestors. It sits on an impressive defensive site, which is woven around a trio of ringed ramparts and ditches, with an earth house to explore. The girls were amazed to imagine people eking out a living right on this spot thousands of years ago and they were intrigued that Roman artefacts have been found here too. 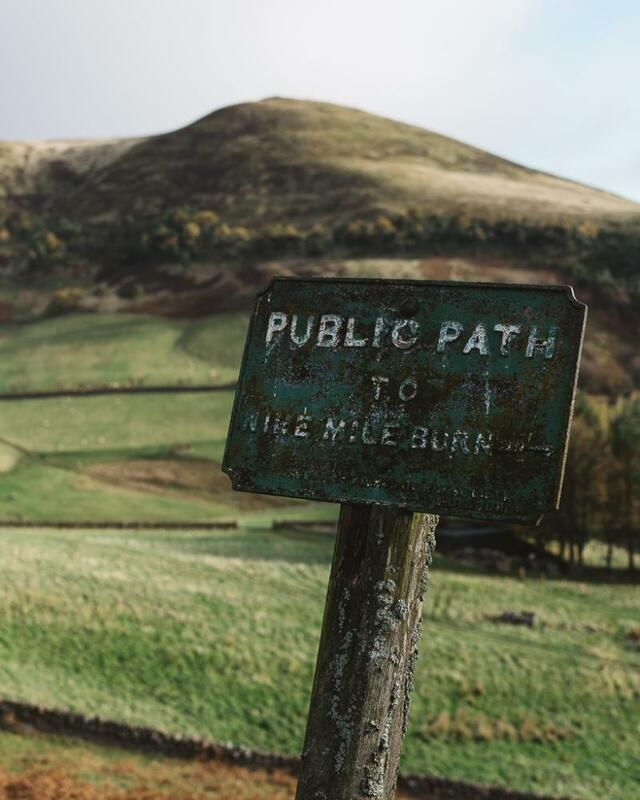 There is plenty more to explore nearby and if you are not from Edinburgh the Pentland Hills actually make for a really handy base, being such a short drive away from the city, with a decent bus connection too with the bottom of the farm track at Eastside. Rosslyn Chapel also lies within easy reach for history buffs and fans of the Da Vinci Code book and film. Back in the Pentland Hills proper it’s not just all about walking. The trails here – which were originally forged by drovers herding their cattle over the hill passes to market – are ideal for horse riding and mountain biking too. My girls have been out pony trekking in the Pentlands Hills with the people at Swanston Farm and enjoyed ambling around the trails. 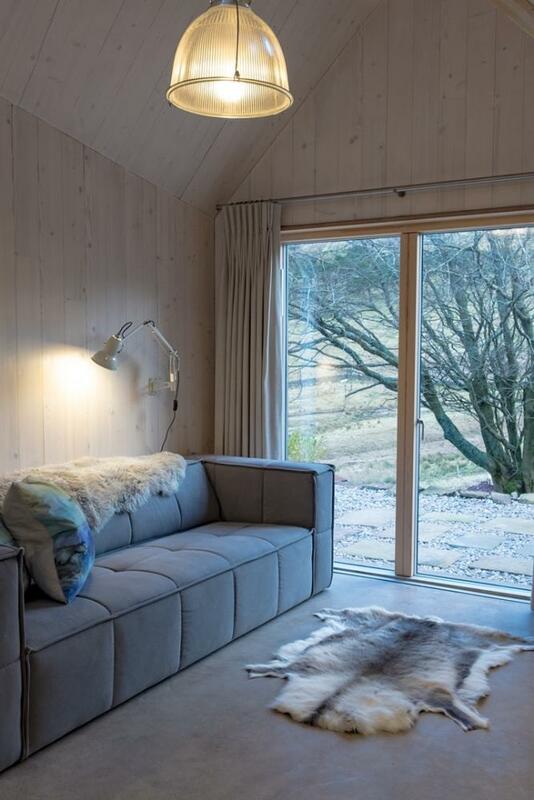 'Responding to its stunning location, this cross-laminated timber home near Edinburgh, Scotland, trades the traditional notion of the stone country cottage for a more contemporary Scandinavian look. ..."We wanted to move away from the solidity and introversion of traditional stone-built farm buildings to something with a lighter touch. This meant views out to the hills, and an awareness of the outside when within. It also meant one main double-height space rather than the more traditional approach of compartmentalizing into smaller spaces." 'It was important to the couple that the cottage fit into its rugged, hilly environment, so they preserved the existing trees on the site. Kebony wood was used for exterior cladding, which quickly weathered to a natural silver to match the surrounding trees. The ground level has polished concrete floors, while the stairs and loft-level floor are made of engineered oak lightly glossed with whitening oil. The subtle silver and white tones of the timber work beautifully with the oak and concrete. Although its finishes are modern, the home respects the traditional cottage vernacular found throughout the region. By combining a gabled roof with a carefully chosen palette of materials, the architects gave a nod to the cottage's inspiration—the traditional agricultural woodshed. "The Westside Woodshed is a sanctuary in the hills that’s uplifting, light, and spacious, yet at the same time snug and protective."